Hadiza Bala Usman was born on 2nd January 1976 in Zaria Kaduna State, Nigeria. She started her education at Ahmadu Bello University Zaria Staff Primary School and went ahead to complete both her Secondary and Undergraduate Studies at the Ahmadu Bello University campus Zaria with a BSC in Business Administration from 1996 – 2000. She later obtained an MA in Development Studies from the University of Leeds, United Kingdom in 2008 – 2009. She started her career with Centre for Democratic Development and Research Training [CEDDERT] Zaria, a Non-Governmental Organization in June 1999- June 2000 as a Research Assistant. Following which she worked at the Bureau of Public Enterprise [BPE], the agency charged with the implementation of the privatisation programme of the Federal Republic of Nigeria from July 2000- August 2004 as an Enterprise Officer. She was then hired by the UNDP for the Federal Capital Territory Administration [FCTA] from October 2004 – January 2008 as a Special Assistant to the Minister on Project Implementation. 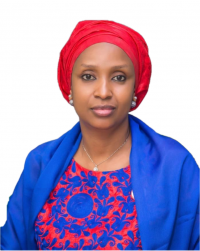 From 2011 to July 2015 she was appointed as Chief of staff of Kaduna state an appointment she held before her appointment as MD NPA in July 11th, 2016. Membership of the APC Strategy Committee from Jan 2014- December 2014. The Committee defined the Policy thrust of the Party and consequently developed the Party Manifesto. Member/ Secretary of the APC National Elections Planning Committee – June 2014 – April 2015. The Committee developed and coordinated the Parties election winning strategies. Administrative Secretary of the APC Presidential Campaign from Jan 2015 – April 2015. Member of the Presidential Inauguration Planning Committee representing the in-coming Administration from April – May 2015. In July 2015, she was appointed as the Chief of Staff to the Kaduna State Governor. She was appointed in September 2015 by President Muhammadu Buhari to serve as a Member of the Presidential Advisory Committee on Anti-Corruption. In April 2014, she co-founded the global movement #BringBackOurGirls which has been demanding for the rescue of the 219 young girls abducted by the terrorist group Boko Haram from Chibok Secondary School in Borno State North East Nigeria. Amongst recognition she has include being named by Financial Times [FT] amongst the most influential women of 2014, was named amongst CNN’s most inspiring woman of 2014 and also named by Ebony Magazine amongst the 2014 100 most influential black women in the world. Mohammed Bello-Koko was born on the 25th March 1969 in Koko-Besse Local Government area of Kebbi State. He attended the Federal Government Collage, Sokoto for his Secondary education in 1986 before proceeding to the University of Sokoto for his first degree in Management Studies (B.Sc) in 1992. Mohammed continued at the Usman Danfodio University, Sokoto for his Master’s degree in Business Administration (MBA) in 1995. Mohammed Bello-Koko started his career with FSB International Bank Plc, Port Harcourt from 1996 to 2004 as Executive Trainee-Banking Operations. He rose to several positions amongst which are Banking Officer-Credit and later Senior Banking Officer-Senior Treasury Officer, Senior Banking Officer-Energy Sector (ENSEC) in charge of managing various oil & gas related multinational accounts and sub-contractors. He was Assistant Manager (Credit & Marketing) where he was Head, branch credit risk analyst, and later became Deputy Manager-Branch Manager/Marketing in charge of initiating, processing and monitoring of good quality risk assets, management of existing accounts and providing leadership Training. Senior Manager- Head Public sector Group, where he supervised all the public sector teams in order to grow public sector business in the Rivers State. Assistant General Manager/Zonal Head where he was Group Head for Public Sector and Zonal head in-charge of Branches under one of Rivers/Bayelsa Zones. 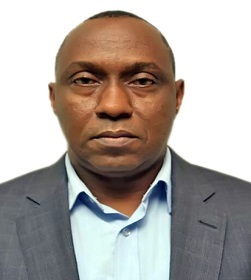 Deputy General Manager and Zonal Head which made him a member of the Bank’s Executive Management team, a position he held since 2013 until he proceeded on leave of absence in 2015 before his appointment as Executive Director Finance of the Nigerian Ports Authority. Sokonte Huttin Davies was born on the 20th August 1962. He went to Rivers State University of Science & Technology Nkpolu, Port Harcourt, Nigeria from September 1981 to September 1984, and attended Belorussia Agricultural Academy, Belarus from September 1984 to March 1987. He later proceeded to Crimea M.I Kalinin Agricultural Institute, The Ukraine, for his Masters degree in Economics (MSc) in 1989. He Further attended the South China, Agricultural University, China for his Doctor of Philosophy Economics/Management (Ph.D) June 2000. Dr. Sokonte was member, House of Representatives from June 2007 to June 2015 where he was Deputy Chairman, House Committee on Land Transport from June 2011 to June 2015. 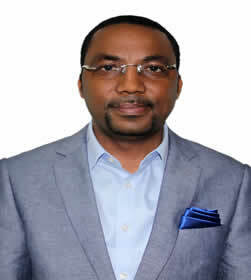 Before then, he was Strategic Planner/Business Analyst for SUNGRACE INVESTMENT COMPANY in Guangzhou, China in 2000, he became the CEO of SEIVAD GLOBAL RESOURCES Port Harcourt in 2002, Executive Director Public Policy and Leadership Centre, Port Harcourt also in 2002, He was Director Grassroots Political Development Centre, Port Harcourt from January 2001 to June 2007. During his school days, Dr. Sokonte Davies was General Secretary, Nigerian Students Union (NSU), Gorki, Belarus from 1985 to 1987 was Member Central Executive Committee (NSU) USSR in the same period. He was General Secretary, Nigerian Students Union, Simferopol, Ukraine. Dr Sokonte has received awards such as Best Student, Economics Faculty in 1987, Best All Round Foreign Student in 1988, Outstanding Student Award in 1997, Third Best Student in 1999 and Best Student in 2000. 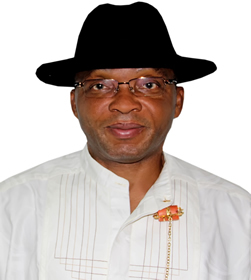 Dr. Sokonte Huttin Davies was the Director, Directorate of Finance and Administration and Administration, All Progressive Congress Presidential Campaign Organization (APCPCO) before his appointment as Executive Director Marine and Operations, Nigerian Ports Authority. Professor Idris Abubakar was born on the 6th of March, 1969 in Misau, Bauchi State. He started his education at the Central Primary School, Misau, Bauchi State in 1975 and continued his Secondary School in Government Comprehensive Secondary School Misau from 1981 to 1984 and proceeded to Government Science Secondary School, Azare for his GCE in 1986. He further attended the Bauchi College of Arts & Science for the IJMB from 1986-1988. Idris Abubakar continued his education at the Ahmadu Bello University, Zaria, Kaduna State, where he obtained his first degree in Civil Engineering in 1993, his Masters degree in the same field in 1999 and concluded his Ph.D. in 2005. Professor Idris started his career at the Ahmadu Bello University Zaria in 1995 as an Assistant Lecturer, he continued at the same University as Lecturer II in 1999, Lecturer I in 2004 then became a Senior Lecturer in 2007 and Reader in 2010. He became a Professor in 2013. During his career at the Ahmadu Bello University, Zaria, Professor Idris was Acting Director, Estate Department in 2006. He was Assistant Dean, Faculty of Engineering from 2007 to 2010 and later became the Head of Department of Civil Engineering from 2010 to 2014. He was a member of Presidential Projects’ Assessment Committee from March 2010 to May 2011. He was Director Projects ABUCONS Limited in the Ahmadu Bello University since May, 2016 until his appointment as Executive Director Engineering and Technical Services of the Nigerian Ports Authority. Professor Idris Abubakar has mentored a lot of people through teaching including the Nigerian Defence Academy during his sabbatical leave from 2014 to 2015 and through direct supervision of Master degree dissertations and Ph.D. theses in his field. He has examined many Masters Dissertations and Ph.D. theses in other Universities, and has been external examiner to many departments of Civil Engineering of Polytechnics and Universities. He has also been reviewing articles for Publications in both local and international reputable Journals. Professor Idris Abubakar has several Publications and Articles to his name in Peer Reviewed Journals, official Conference Proceedings and Technical Reports. Professor Idris has received the Nigerian Ports Authority Prize of Best Final Year Civil Engineering Student, Department of Civil Engineering Ahmadu Bello University, Zaria in 1992/93 session.